Double J Stables and Campgrounds is located off the Northeastern corner of Mammoth Cave National Park. 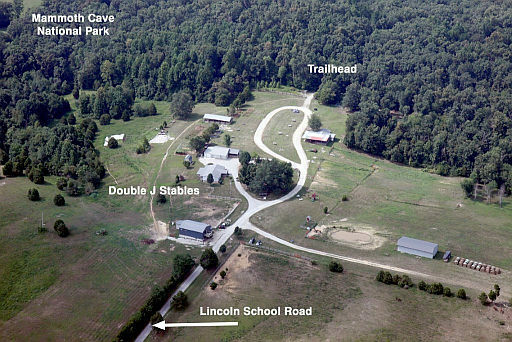 We are about as close as you can get to the Mammoth Cave National Park. You do not need to cross or ride on any public roads to enter the park, just mount up and ride on in. Come check us out for some of the most beautiful trail riding. 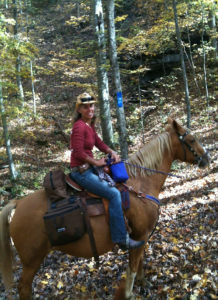 Our guided horseback trail rides will take you right on the horse trails of Mammoth Cave National Park. We are proud to be the only independently owned ranch with direct access to over 85 miles of trails in the park. We offer these rides with a personalized touch by keeping our groups small in size to make it more enjoyable for our guests. 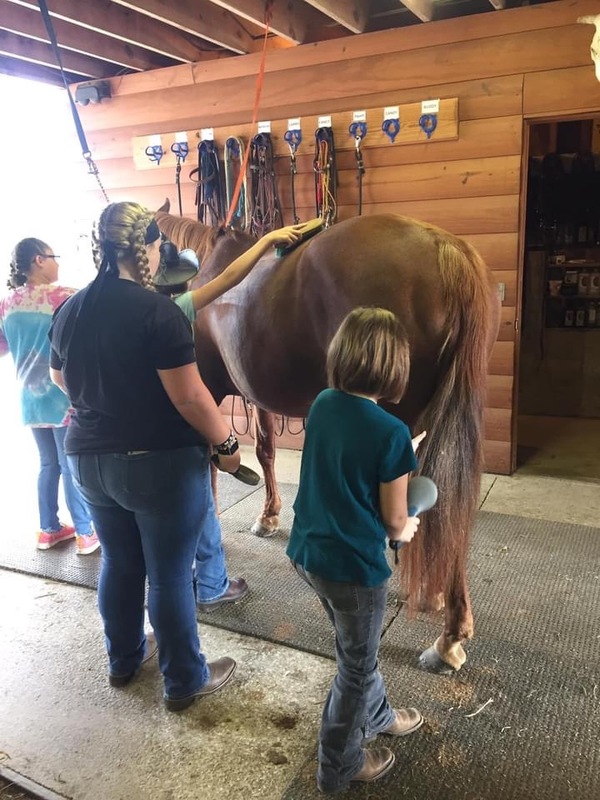 Our horses are very calm and gentle and can accommodate riders as young as 6 years old, first time nervous riders, and even those with a little more experience. Reservations are required, so give us a call at 270-286-8167 between 8am-8pm central time. Click here for rates and ride schedule. Read our write up "Rake in the vistas" By Kathy Witt from the October 2014 Kentucky living issue. In our Campground, we offer water and electric sites as well as rustic sites. We offer stalls, turn out area, picketing or pens for your horses. Check here for our campground rates. Click here for our campground rules. We are limited, so reservations are required. We also have a completed modern bathrooms, and showers along with ice and vending, machines; a country restaurant is just minutes away. 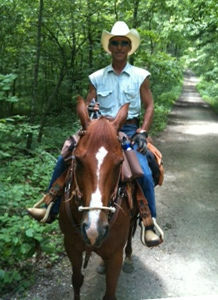 We are now offering Private Trail Rides and Carriage Rides in addition to our guided trail rides. We are also offering wedding and birthday party packages. Please call for more information and pricing. Mammoth Cave National Park offers 85 miles of beautiful scenic trails. For the most part, they are challenging. The trail head is located adjacent to our campgrounds. If you are camping with your own horse, no guide is required. Trail maps are available and all trails are clearly marked. 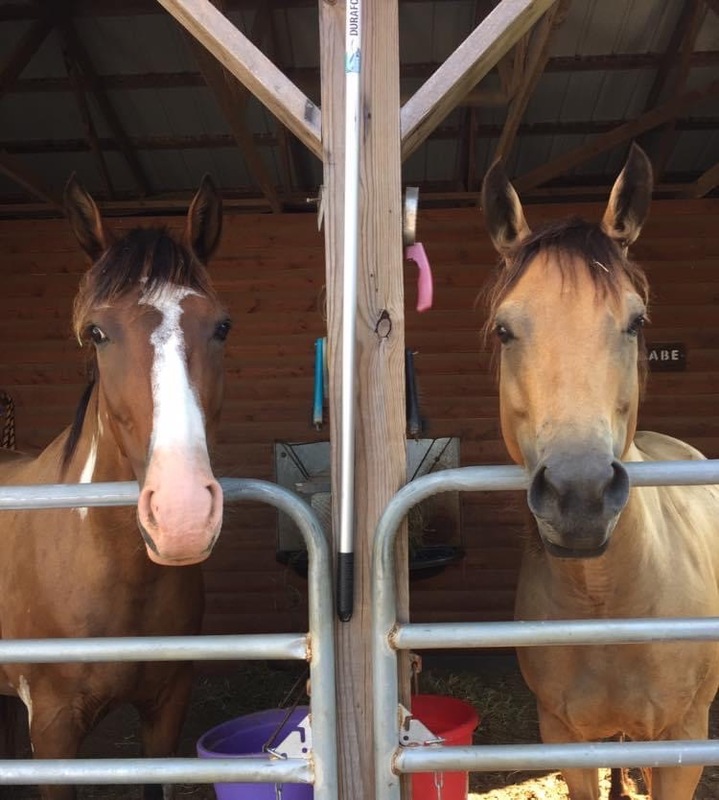 If you are close enough to our ranch and want to ride for a day, we have a day use area that is available to you for $2.00 per day and no reservations are required. Reservations for the camping are required. Mammoth Cave National Park offers cave tours 364 days a year. A must see when visiting our ranch. 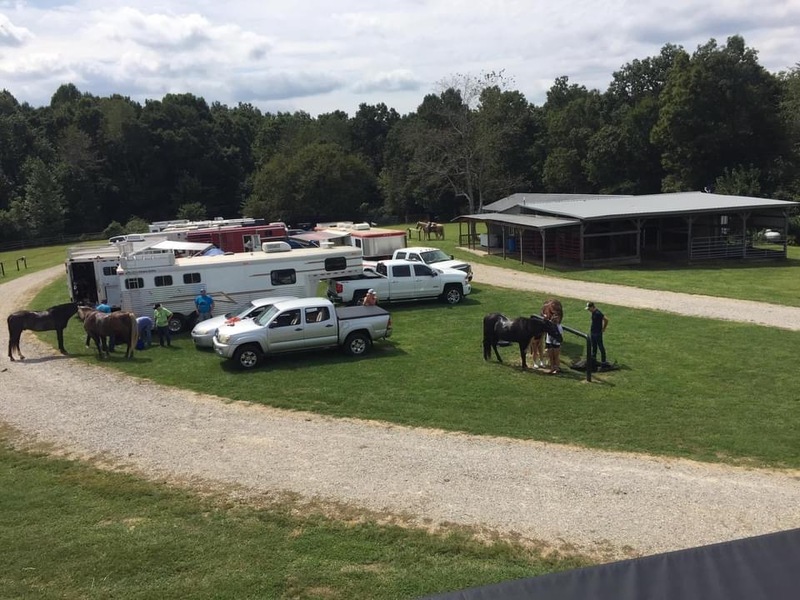 Nolin Lake recreation site are is located to our North, approximately 5 miles. Nolin Lake offers outstanding fishing and swimming. 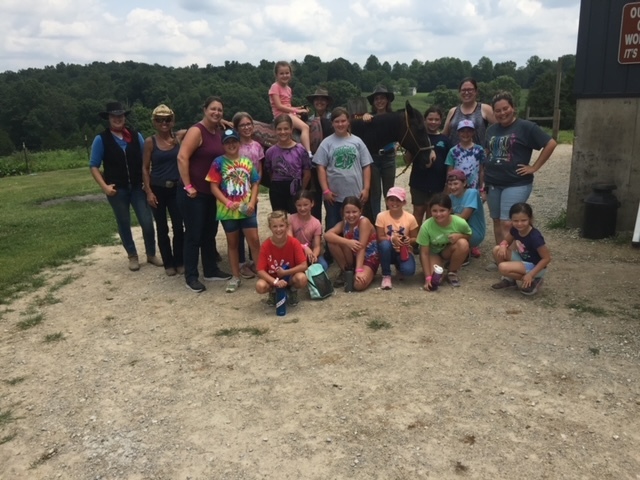 Cave City is located 15 minutes from the visitor's center at Mammoth Cave National Park and offers many treats such as Guntown Mountain (great for kids) Wildlife Museum, Action Park and great restaurants. Bring your golf clubs; Shadlyhollow Golf Course is just 3 miles from the Stables. We are growing every year, adding more conveniences to our campground. We are looking forward to being your host. For further information or reservations call 270-286-8167. We welcome all of your comments and suggestions, call 270-286-8167. See the Frequently Asked Questions to read some of the more common inquires.